In this important new book, Paul T. Phillips argues that most professional historians – aside from a relatively small number devoted to theory and methodology – have concerned themselves with particular, specialized areas of research, thereby ignoring the fundamental questions of truth, morality, and meaning. This is less so in the thriving general community of history enthusiasts beyond academia, and may explain, in part at least, history’s sharp decline as a subject of choice by students in recent years. Phillips sees great dangers resulting from the thinking of extreme relativists and postmodernists on the futility of attaining historical truth, especially in the age of “post-truth.” He also believes that moral judgment and the search for meaning in history should be considered part of the discipline’s mandate. In each section of this study, Phillips outlines the nature of individual issues and past efforts to address them, including approaches derived from other disciplines. 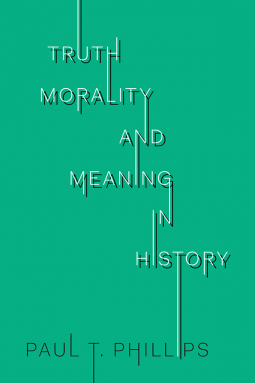 This book is a call to action for all those engaged in the study of history to direct more attention to the fundamental questions of truth, morality, and meaning.